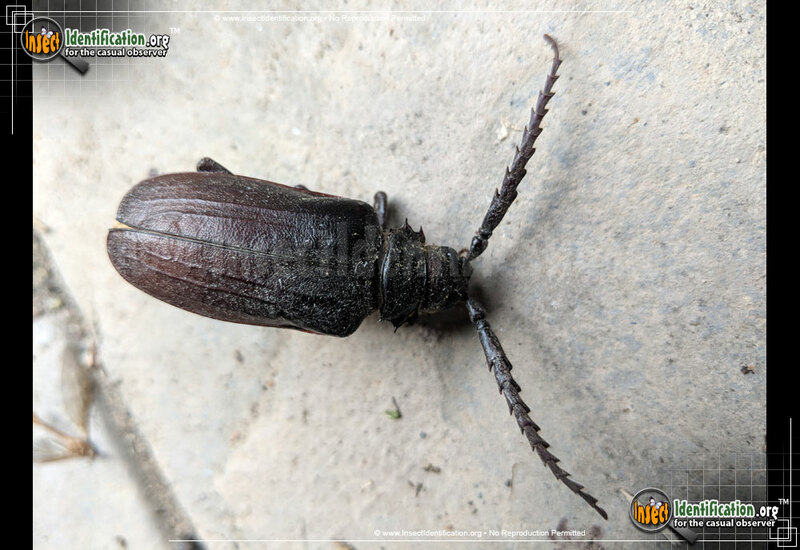 Detailing the physical features, habits, territorial reach and other identifying qualities of the California Root Borer Beetle. 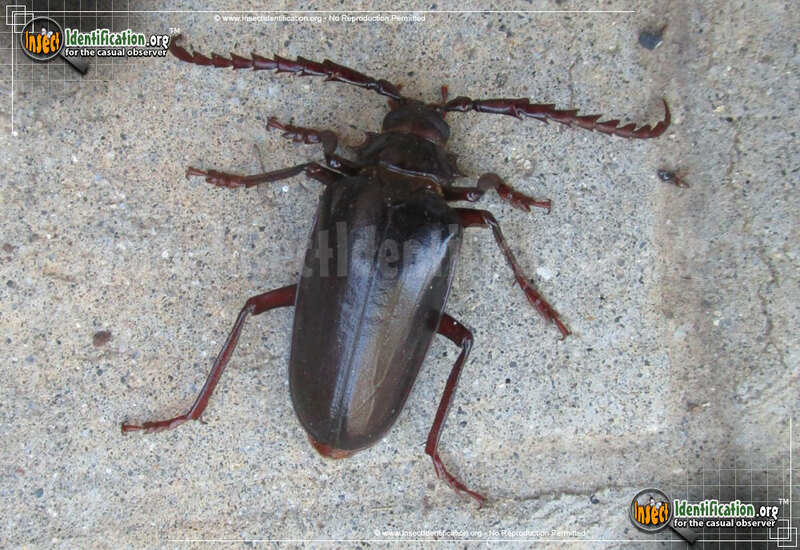 The hardy native California Root Borer Beetle calls more than just one state its home. Like other beetles in the genus Prionus, the California Root Borer has long, serrated antennae. Females have thinner antennae than males, who have more pronounced 'serrations'. This species has a reddish-brown coloring, but some individuals may appear more black. Three well-formed spikes project out of each side of its pronotum, the 'neck' area. Its elytra (wing coverings) have a fine texture to them, giving them a matte sheen when viewed in the daytime, but they are more active at night when males seek out females for mating. 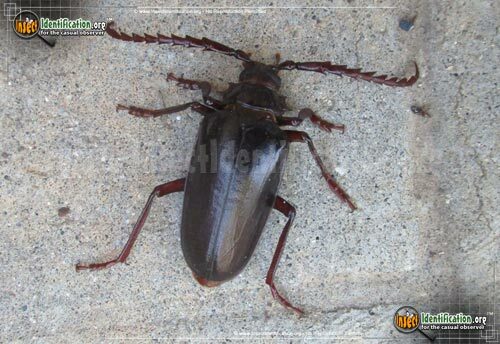 They are often seen walking around the ground in forested areas. They do not eat. 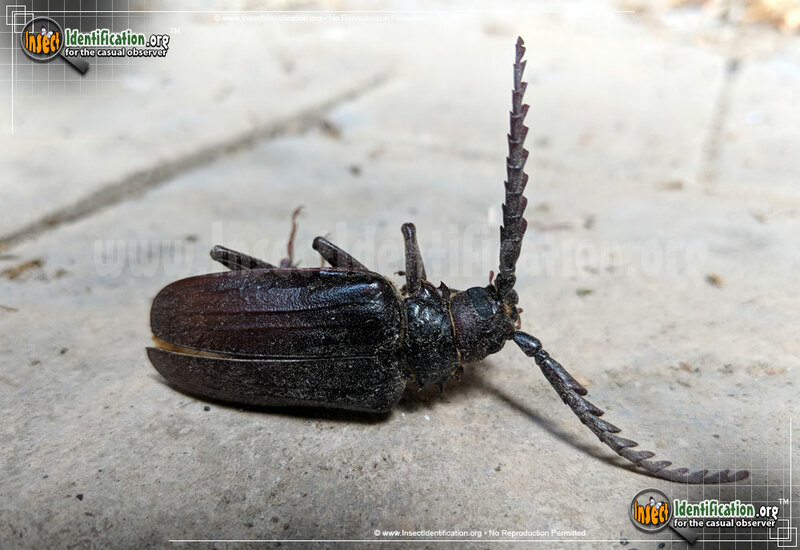 The larvae of this type of beetle live underground where they eat through, and into, the roots of a variety of deciduous trees, hence the common name. They have also been found eating roots from shrubs, vines and even rotting wood above ground. They may stay in this young phase of life for a few years before moving onto the pupa and then the adult form. 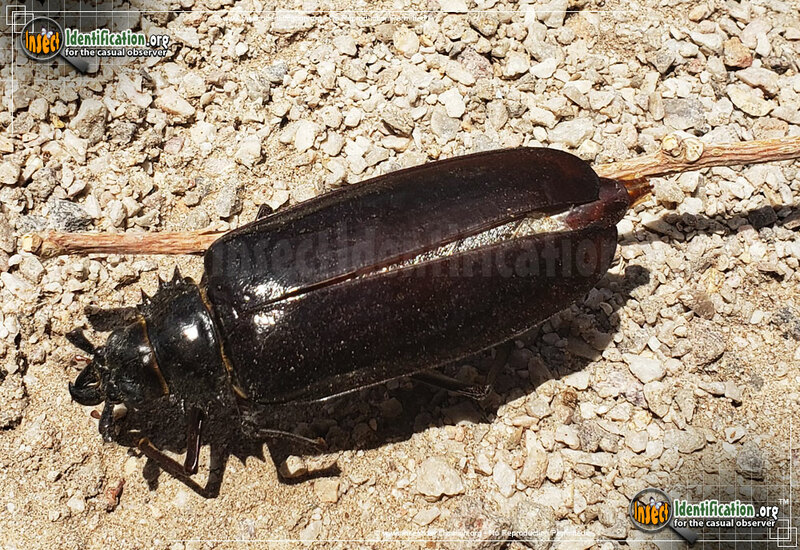 Because of their diet, this type of beetle is considered a pest in orchards and vineyards where feeding activity can impact tree health and fruit harvest.